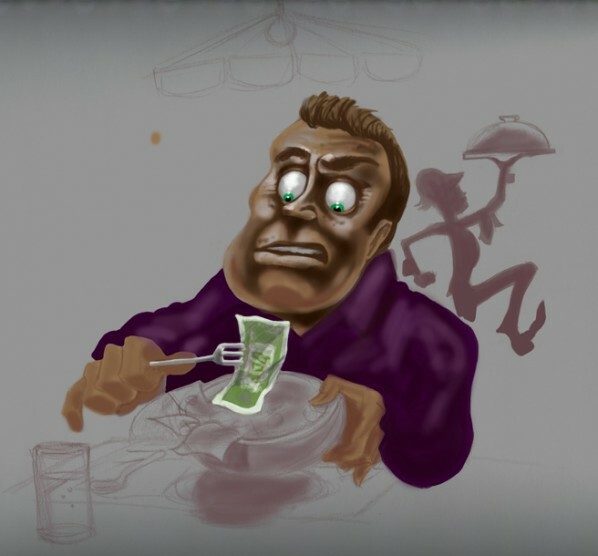 Here’sa digital painting of a dude stuffing his pie hole with a ‘green salad’ consisting of leafy, green, cash. This was commissioned for LasVegas.Net Magazine and the link below takes you to that website, if you’d like to read the tasty tips that go with the cartoon. Also,I did a color study, trying to feel out the direction and style I would ultimately end up with. This one is more a truly painterly style approach. 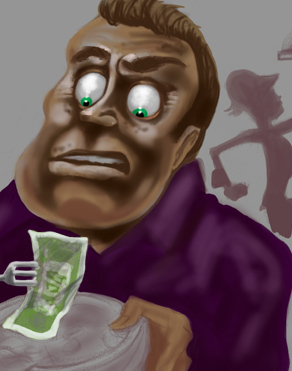 I eliminated or covered the cartoony black lines and began the process of subtle shading. Below this is a blow-up of the proof. Here’s the original sketch from my sketchbook. It’s pretty much the final. After HATING the coloring job I was doing in the computer, I pulled out the sketchbook and INKED the red pencil drawing. Scanned it again and was off to the races. 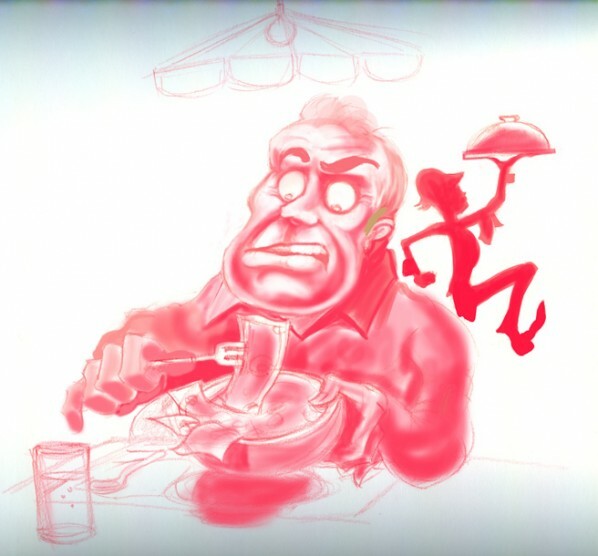 A funny cartoon of a man eating a salad in a restaurant. 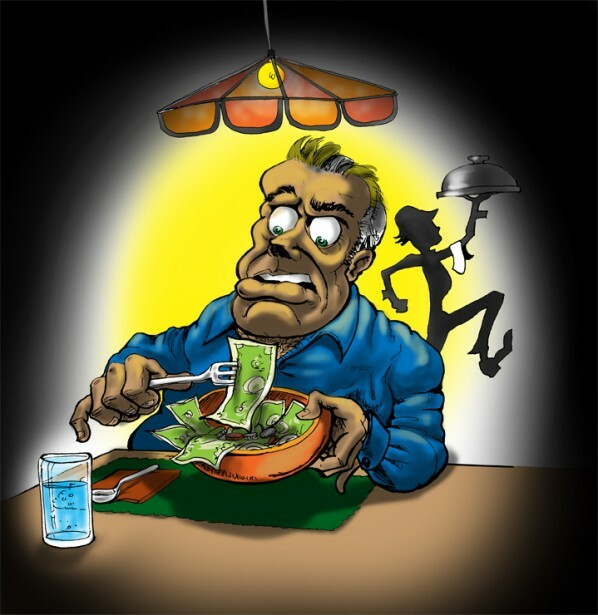 The salad is made of cartoon money and a funny waiter runs through the background.